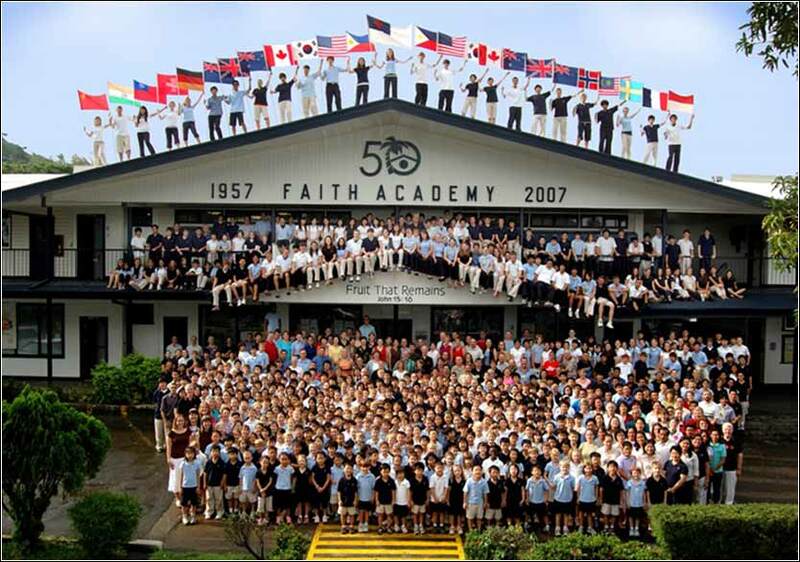 Faith Academy, Davao, Philippines, an international Christian school. Was anyone at the time of his call already circumcised? Let him not seek to remove the marks of circumcision. Was anyone at the time of his call uncircumcised? Let him not seek circumcision. For neither circumcision counts for anything nor uncircumcision, but keeping the commandments of God. Each one should remain in the condition in which he was called. Were you a bondservant when called? Do not be concerned about it. (But if you can gain your freedom, avail yourself of the opportunity.) For he who was called in the Lord as a bondservant is a freedman of the Lord. Likewise he who was free when called is a bondservant of Christ. You were bought with a price; do not become bondservants of men. So, brothers, in whatever condition each was called, there let him remain with God. In today's Scripture, Paul celebrates the commonality of Christians who are not otherwise connected. From almost the earliest days, Christianity had to struggle with fundamental differences among people who were the fertile soil of Christ's "Parable of the Sower", people who heard the word, and it took root and flourished. The Middle East has always been a melting pot, an odd point of juncture for Asia, Europe, and Africa where many cultures collided. The squabbling began as soon as the church started, for Christ and his disciples were all Jews, as insular a society as one could want. They would not even eat a meal with a Gentile or enter his house. Much of Acts and several epistles describe the shock to these people when Gentiles wanted to join their churches and worship Christ. 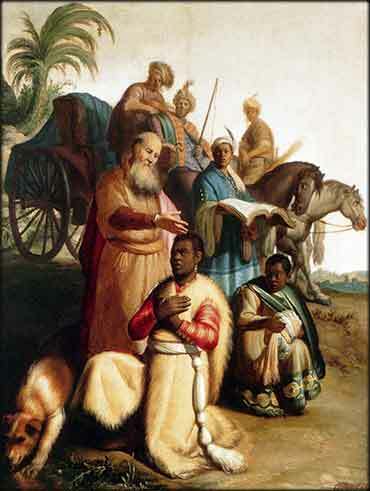 They spoke different languages (Aramaic, Greek, or Latin mostly), they had different moral codes and, most telling, many of them lacked circumcision, the one defining mark to the Jew of a covenant with God. Paul reminds us today that Christianity is not a nation, a culture, or a social class. Nor is it just some sort of international or cross-cultural friendship club, for it asks much more than that. It asks that we accept that our station in life is, ultimately, trivial. Preparing for our eternal life and living in the light of God's love are so transcendently important, that we disdain earthly station. In human terms, there is nothing a slave or bondservant wants more deeply than his freedom. And yet Paul tells them not to be concerned about it. For if our mortal life is all there is, whether it is spent in service to a random master or whether we are free men and women is critically important; but it is not. It is a period of preparation and trial. And so, our brother is not the person who looks like us, speaks our language, dresses like us, votes like us, lives in our country. These matters are trivial. Our kinship is among those who confess Christ as their Lord and Savior and live in the Holy Spirit. Daily Prayer is based in the United States and the prayers and Bible are in the English tradition. But our community is not American or Commonwealth, or even English-speaking. It is not Anglican or Orthodox or Baptist or Catholic or Coptic. We remember and celebrate today our true community, our brothers and sisters in Christ, wherever they may find themselves in their brief journey on earth.